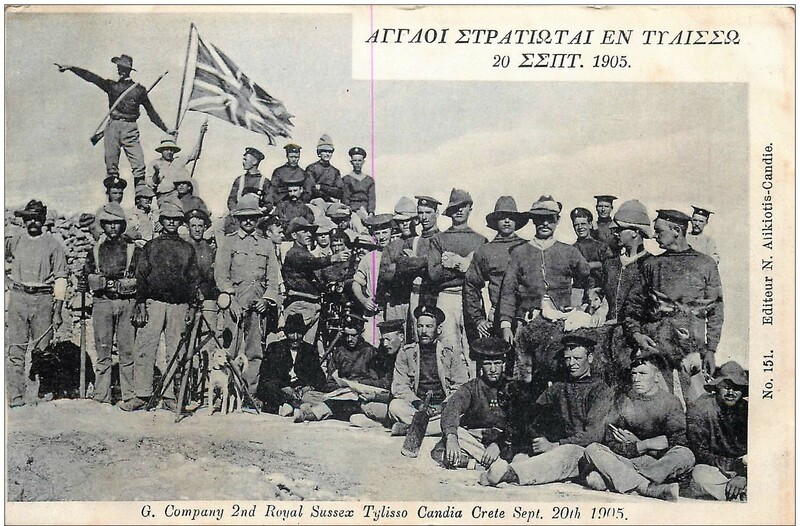 British Army in Crete | The British in Crete, 1896 to 1913. The truth of Knossos revealed…… it’s all a fake! 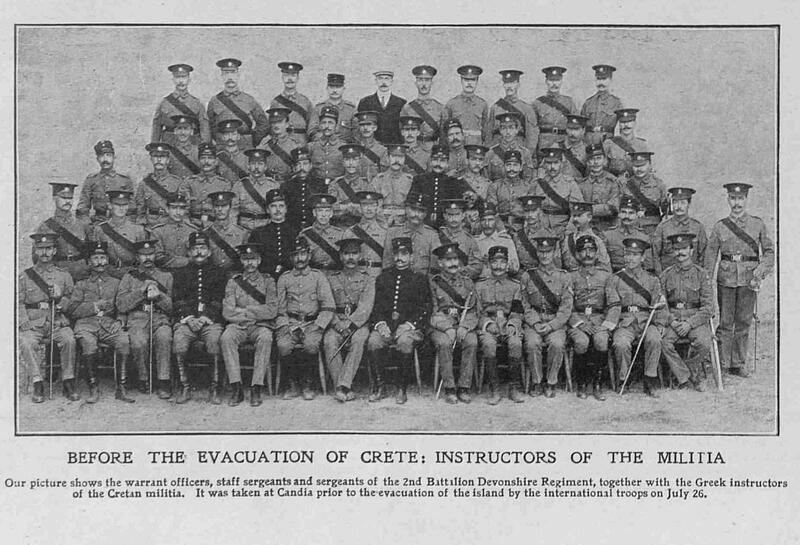 In June 1909 British troops were preparing to leave Crete. 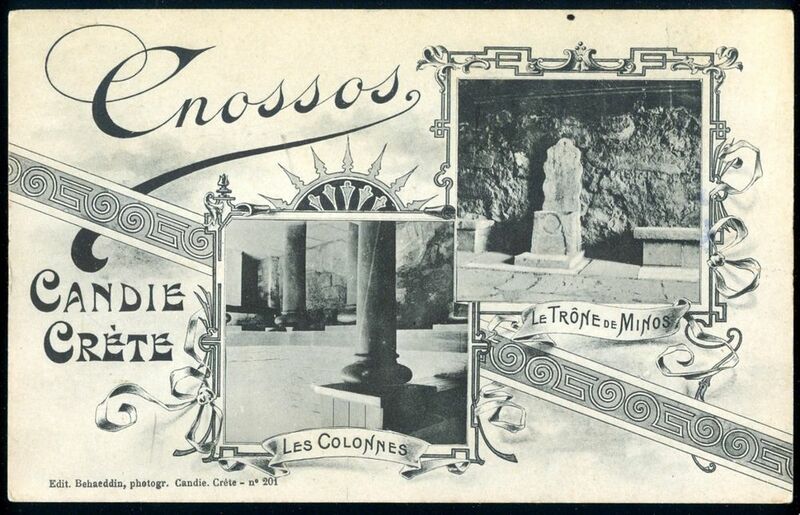 In the midst of their preparations for departure at least one of them, quite possibly a member of 2/Devonshires, found the time to visit Knossos. Unfortunately for the future Cretan tourist industry, he was less tham impressed – as this postcard he sent to his father shows. The ruins of Knossos are about 4 ½ miles from here. I have been over them but don’t think them very remarkable, but perhaps I am not a judge of such things. To me the greater part of it looked as though it had been faked up a lot. Hope you are all A1 at home. How are the Gardens now? 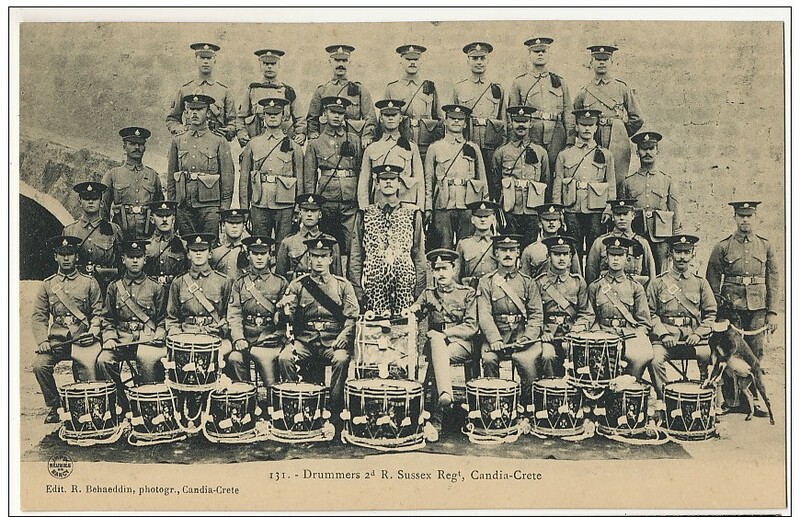 This entry was posted in British Army in Crete and tagged 2/Devonshire Crete 1909, British troops in Crete 1909, Crete 1909, European Intervention Crete on September 14, 2018 by Mick McT. The 2nd. Devonshires leaving Candia. 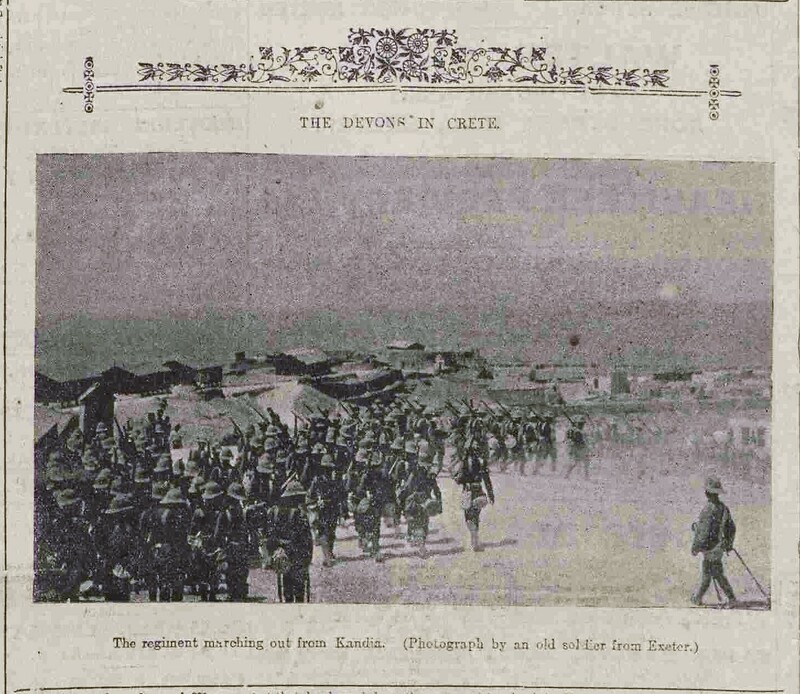 ‘The regiment marching out of Kandia. 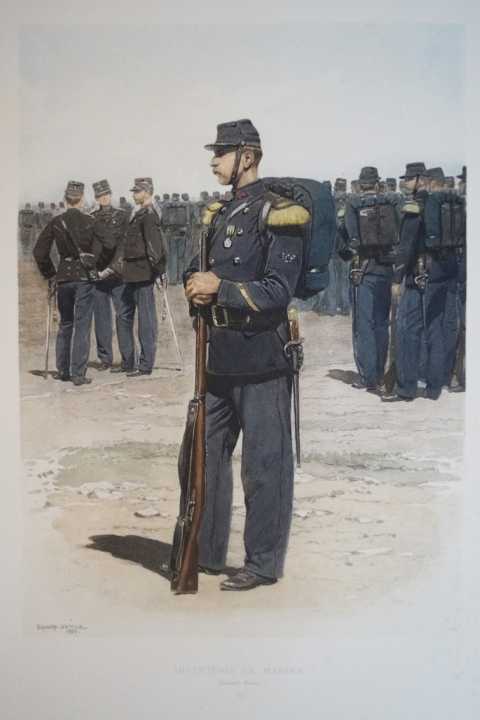 (Photograph by an old soldier from Exeter.) 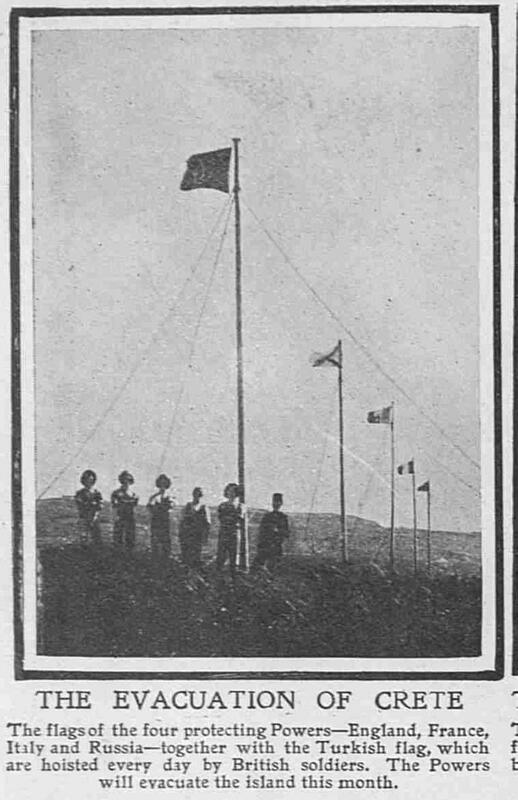 Devon and Exeter Gazette, Friday 20th August 1909. 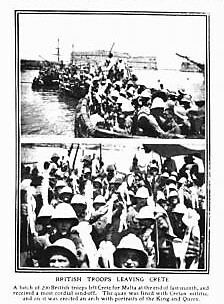 ‘British troops leaving Crete. 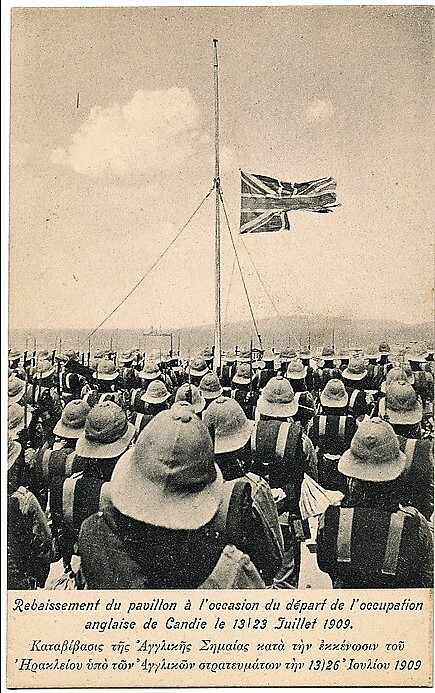 A batch of 200 British troops left Crete for Malta at the end of last month and received a very cordial send-off. 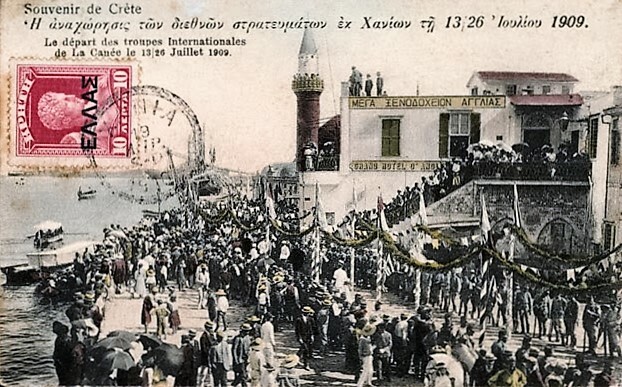 The quay was lined with Cretan militia and there was erected an arch with portraits of the King and Queen.’ The Graphic, 15th August 1909. 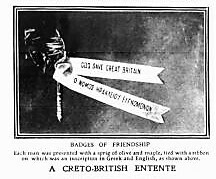 ‘Each man was presented with a sprig of olive and (myrtle), tied with a ribbon on which was an inscription in Greek and Englishas shown above.’ The Graphic, 15th August 1909. 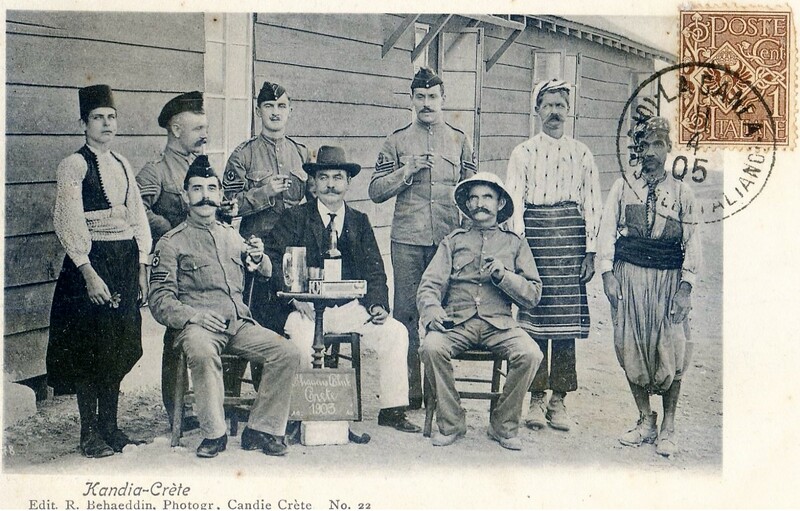 British officers’ quarters and mess; Candia 1909. 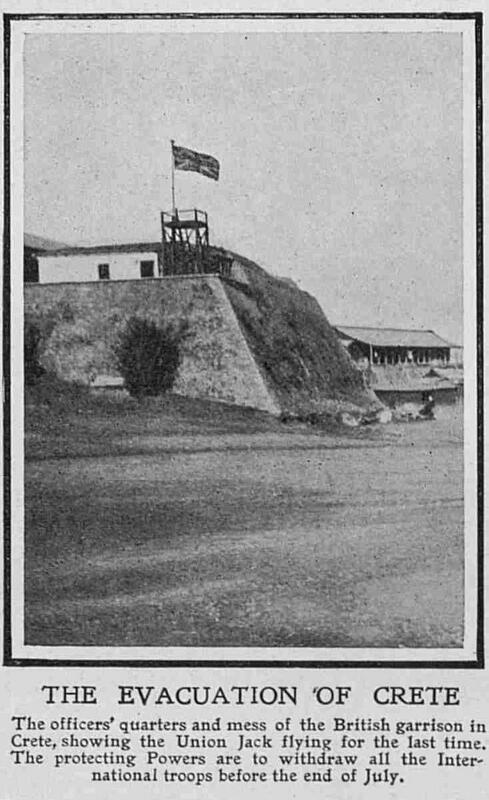 ‘The officers’ quarters and mess of the British garrison in Crete, showing the Union Jack flying for the last time. The protecting Powers are to withdraw all of the International troops before the end of July.’ The Graphic, 17th July 1909. 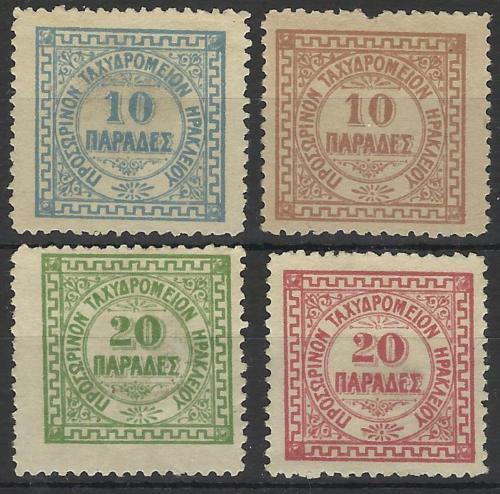 The Devonshire’s had arrived on Crete on 18th January 1909 and, while on the island, had suffered two deaths from amongst their number, one from liver failure, the other from a ‘digestive disease’. 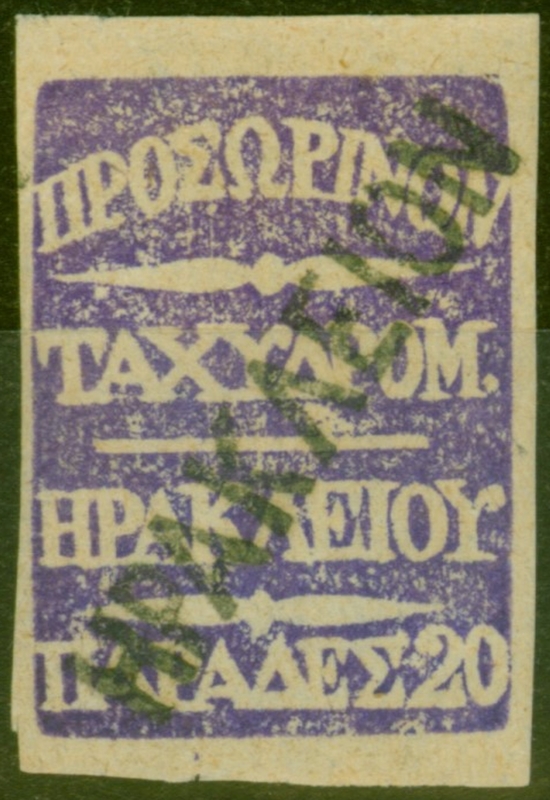 Little appears to have been recorded of their stay, but they were, clearly, involved in to some extent in the training of the Cretan Militia; the training of the Cretan Gendarmerie being, by this time, the responsibility of Greek offices and instructors. The Graphic 14th August 1909. Meanwhile, in Canea, other International troops were pulling out of the island. 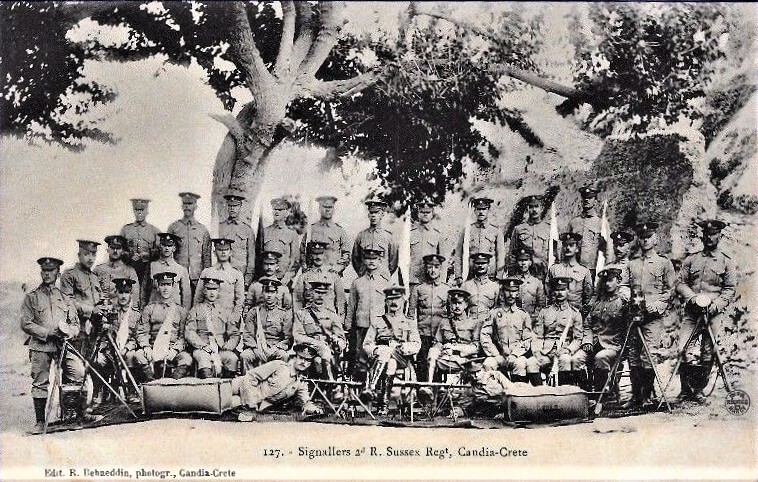 The majority of the troops shown below would have been Italians since the Canea Secteur of the island was their responsibility. 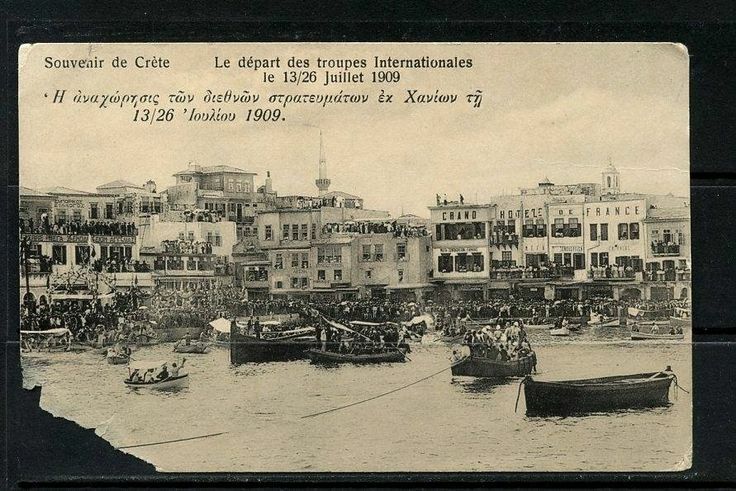 Canea, departure of International troops, July 1909. 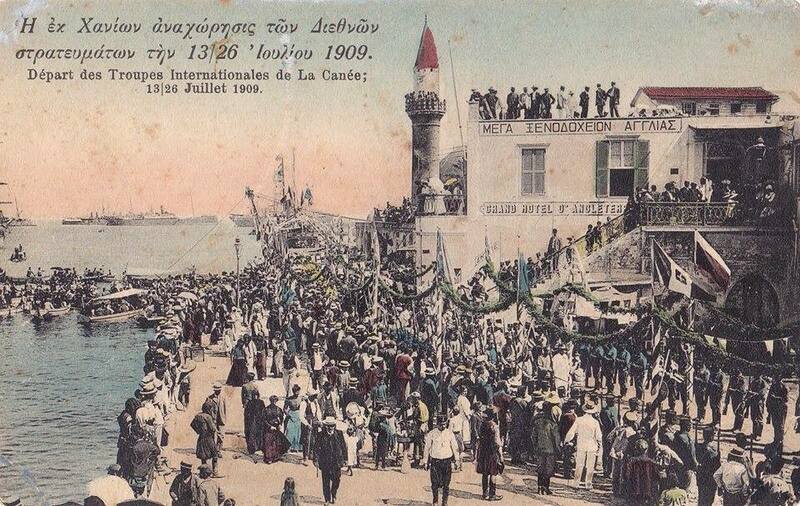 Canea harbour, International troops depart. July 1909. The Graphic, 17th July 1909. Lowering the British flag for the last time. 26th July 1909. 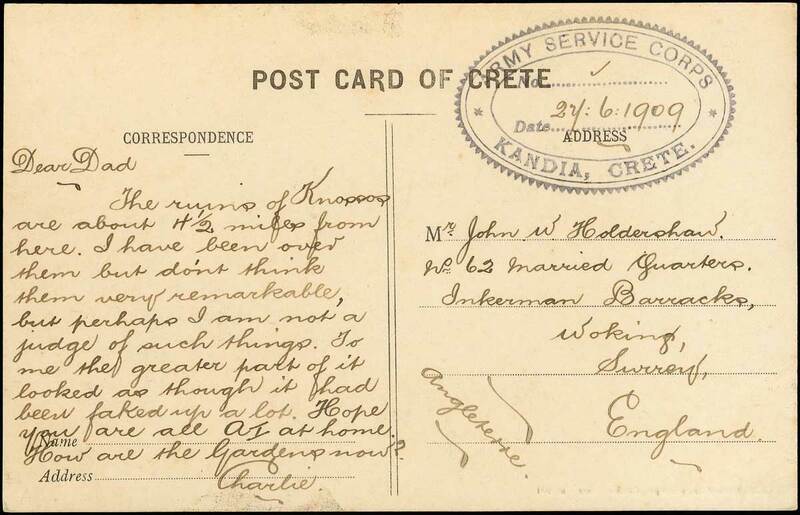 This entry was posted in British Army in Crete and tagged 2/Devonshires 1909, Candia, Canea 1909, Crete 1909, Crete July 1909, European Intervention Crete, Iraklion 1909 on June 21, 2018 by Mick McT. The detail on the board at the feet of this group is difficult to make out; it appears to read ‘Chancer’s Club, Crete, 1903’. According to Eric Partridge’s ‘A Dictionary of Slang and Unconventional English, Volume One’, a ‘Chancer’ was a slang term for ‘…a liar; also an incompetent, or one too confident in his ability….’ The term was apparently in use in the British military by 1914 and dates from approximately 1870. I have to admit I have no idea whatsoever what the ‘Chancer’ (?) Club is or was, but, judging by the photograph, it would appear to have involved the consumption of alcohol and cigars at some stage or other. 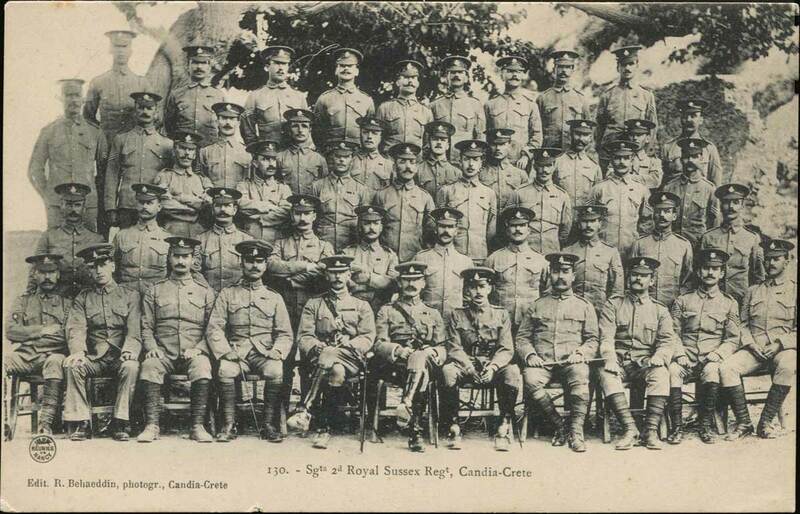 Notwithstanding, these three members of the Royal Army Medical Corps, and their colleagues, seemed to have enjoyed participating in the Club’s activities in Candia it in 1903. Chaucer’s Club. 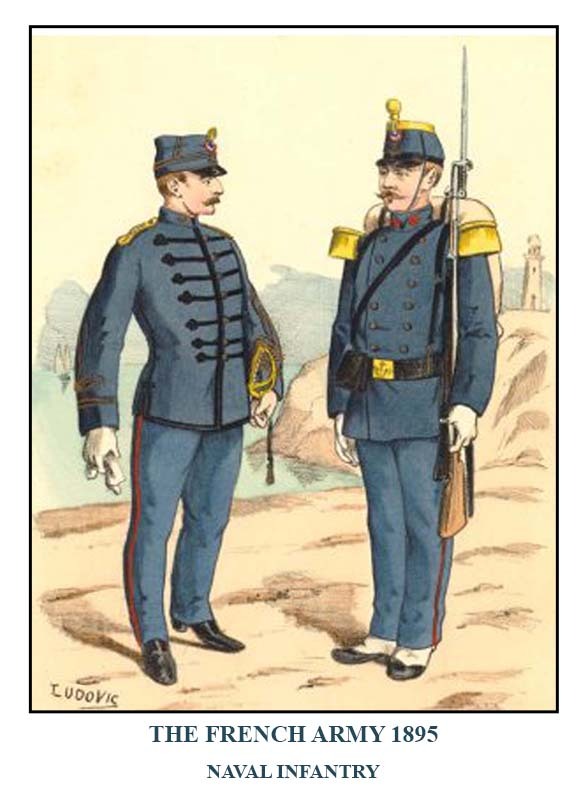 RAMC Candia 1903. 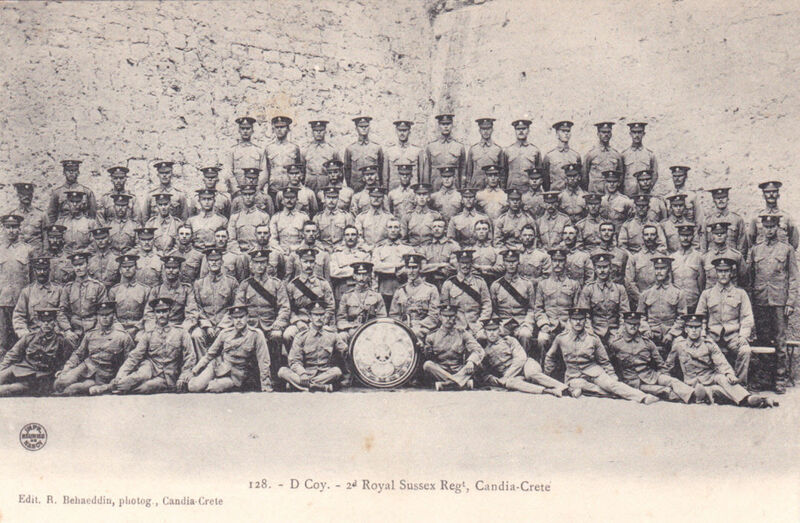 Exact numbers of RAMC personnel on Crete at any given time are difficult to find; most records refer to ‘detachments’ of the Corps without giving numbers. 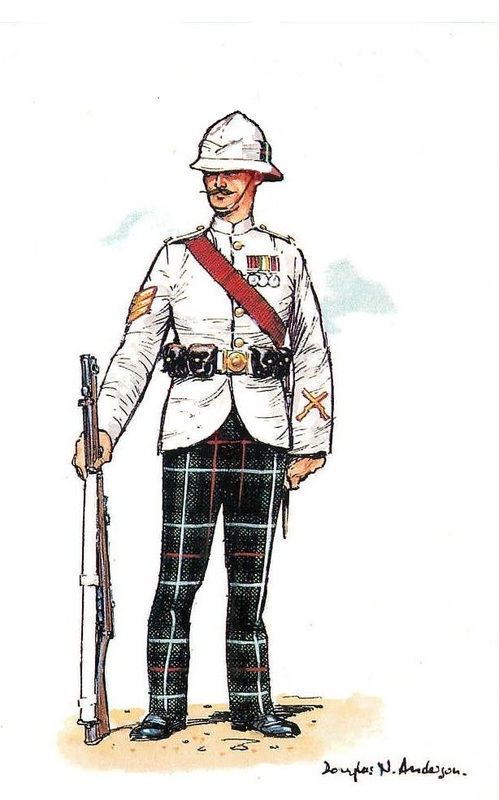 However, in 1903, they would have been responsible for the health care of 2/Cameron Highlanders, until March, and 1/Royal Dublin Fusiliers from March onwards. During 1903, with an average strength of 410 men and 510 hospital admissions, 222 of which being for Malaria, only one British soldier died on the island. 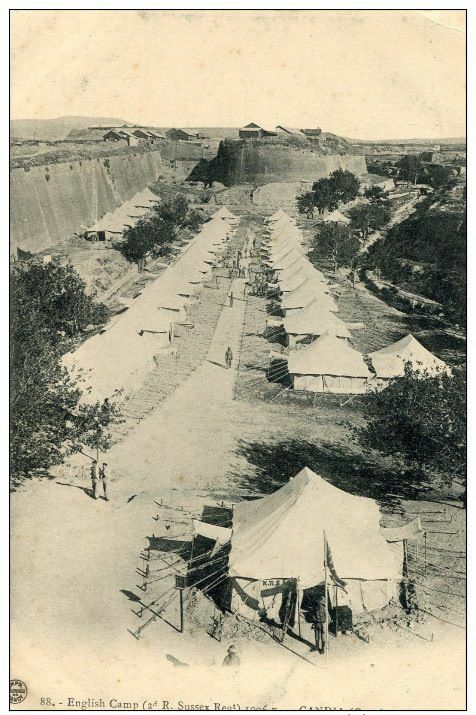 1905 [Cd.2434] Army Medical Department Report for the year 1903. Volume XLV. 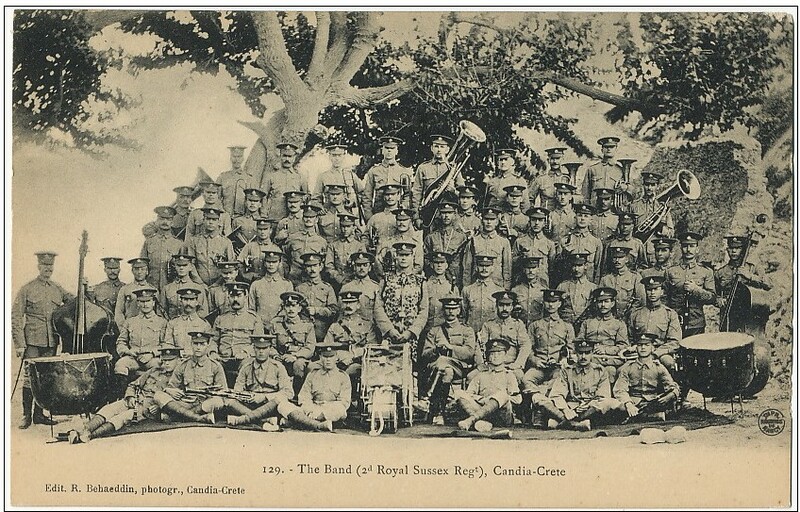 This entry was posted in British Army in Crete, European Intervention Crete and tagged Candia 1903, Chaucer Club, Crete 1903, RAMC, RAMC Crete 1903, Royal Army Medical Corps on January 19, 2018 by Mick McT.